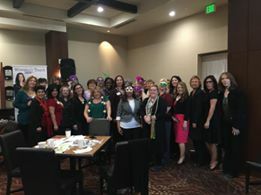 Hello Women In Touch SCV! The new Women In Touch SCV website is live. We’ll be working out the kinks throughout the week and weekend. In the meantime here are a few things to help new members register and the members who have already paid get started. Things that will be added later is a photo gallery, the core volunteers page will be updated with more bios and photos. You will be able to see everyone who is in the member directory without being logged in. For those members who have already paid in the past month or so for the new membership program, you are already plugged into the website. You will be receiving an email within a week with your username and password. Once you have that you can login to update your profile and add all the information currently missing. From there you will be able to update your password. If for any reason you can remember your password now and after you update it you will be able to recover the password. It’s under “join us” pull down to recover password. For guests wanting to join: You will click on “join us” fill out the membership application and the register information, then you will be asked to pay with PayPal or credit card. Once that is done you will be emailed an email verification and password. You can then go back and login and change/update your password, as well as edit your profile. Thank you for joining! We look forward to growing with you. Should you have any questions, comments or any issues with registering, login, password recover, or membership payment, please contact Lisa Silva, Webmaster lisa@lmsassistyou.com. She will get back to promptly.